…Follow the painted blue line. How do I keep finding myself here? Two years ago, when the news broke that a female cyclist in her 30s had been killed at Bow roundabout, my dad says his first thought was that it was me. My parents tend to keep their fears to themselves, so I didn’t actually find this out until it had been proved beyond a shadow of a doubt that I was alive and well – in other words, after I’d phoned them. Equally, while I’m sure the news this past week has had my mum lying awake at night worrying about me, I haven’t heard a peep out of them. 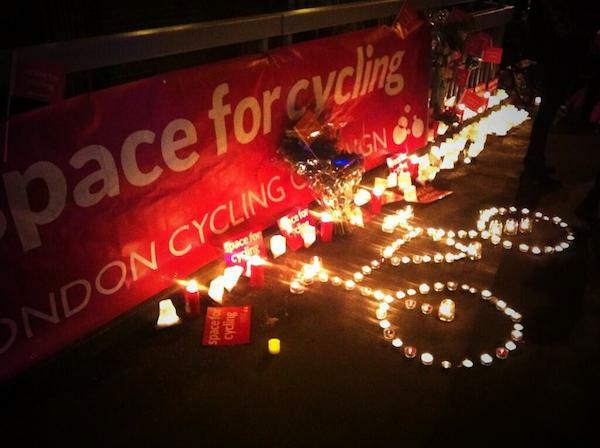 Because, let’s face it, for the parent of a cyclist in London, this has not been a good week. 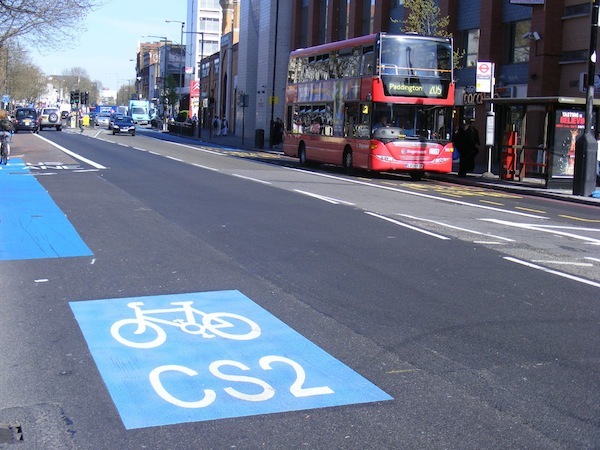 CS2: Lane of the Brave? I can’t tell you how many times people have said that to me, or words to that effect. Tens. Hundreds, maybe. I used to get mildly annoyed when someone tried to tell me I was a hero for doing something as ordinary as riding a bike. I used to think if they could stop being such scaredy cats, they’d see it was really quite simple: you just get on the bike and pedal. OK, you have to pay attention to the traffic around you, but you learn to do that quickly enough. I mean, if I can do it, then anyone can. 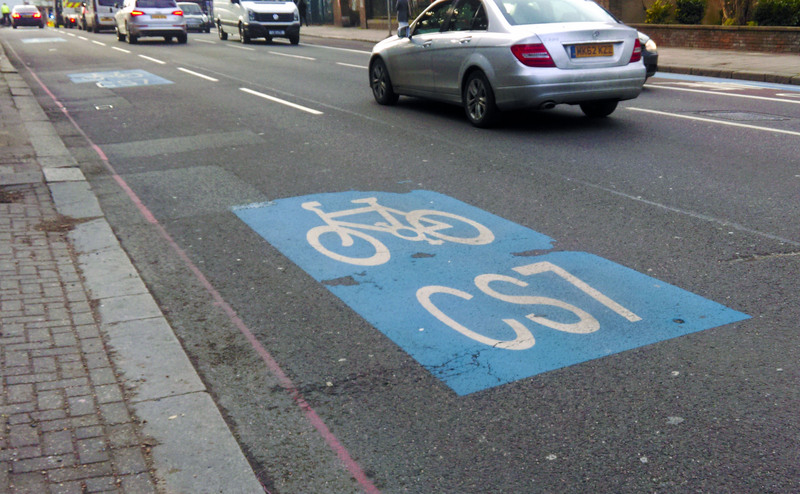 Call this a cycle lane? Picture the scene. It’s a little after 11pm; you’ve spent the evening with friends down on the South Bank and now you’re on your way home. 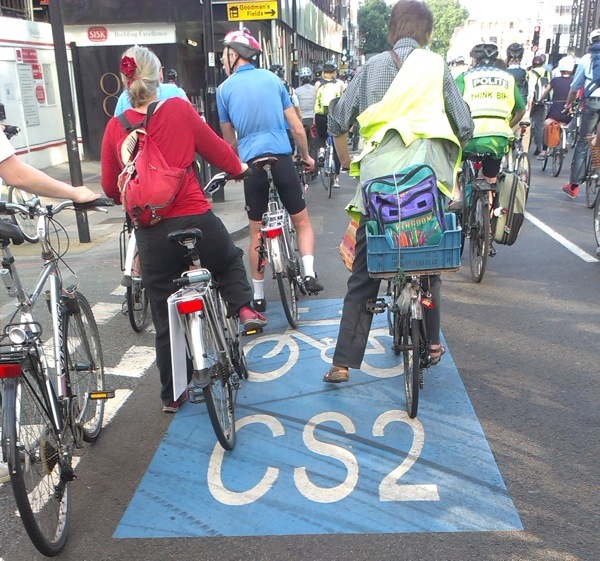 You follow, as you normally do when you’re heading home from central London, the cycle path that skirts past Angel. It’s unusually busy for this time of the night, but it’s been a warm evening so it’s perhaps not surprising that so many people are still out on their bikes.